This officially licensed USMC Desert Warrior folding knife is just that - a warrior! The 3 1/2" 420A stainless steel blade features a stonewashed finish and it glides open quickly and effortlessly with the help of the assisted-open mechanism. 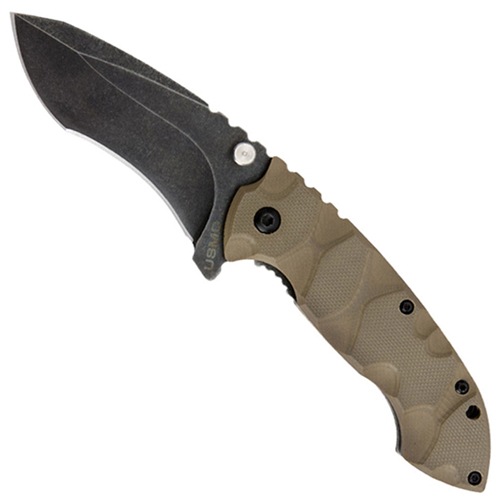 The desert sand colored handle is constructed of G10 with a CNC finish for a secure grip. Includes a stonewashed pocket clip with "USMC" wire cut right into the clip.